Kent's "Hooligan Libertarian" Blog: Do origins matter? I really despise the "Pledge of Allegiance". I know too much about its origin to respect it at all. I know this puts me in a suspected minority. But it makes me consider an idea. How much does the origin of something matter? Something that had a bad origin can turn out to be good and something that had a good origin can turn out to be bad. Just look around you to see the truth of this. 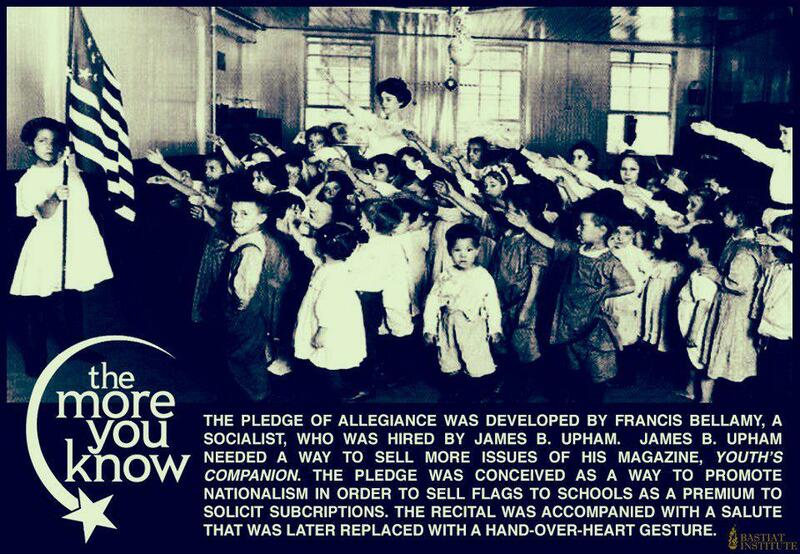 In the case of the hated "Pledge", it can be judged by its fruits today: nationalism, war-mongering, blind devotion. and obedience. All disgusting, rotten, poisonous fruits. But, just because it was created by a nationalist/socialist doesn't automatically make it bad- judge it for yourself by how it is used today. If you still think it is a good thing... well, give yourself to any ideology you want, but leave me out of it.